May 3, 2018, Langley, BC: Dr. Andrew Perrin, Assistant Professor in Religious Studies and Director of the Dead Sea Scrolls Institute at Trinity Western University (TWU), receives the Canada Research Chair in Religious Identities of Ancient Judaism today. The Tier 2 Canada Research Chair award brings $500,000 ($100,000 per year for five years) in research funding to the university. As Canada Research Chair in Religious Identities of Ancient Judaism, Dr. Perrin will use recently discovered Aramaic literature in the Dead Sea Scrolls to map the ideological, literary, and cultural landscape of a period that served as the common basis of emerging Judaism and Christianity in antiquity – making it foundational for Western Civilization. Andrew Perrin is TWU’s fifth Canada Research Chair following in the footsteps of Peter Flint, former Canada Research Chair in Dead Sea Scrolls Studies; Jens Zimmermann, former Canada Research Chair in Interpretation, Religion and Culture; Eve Stringham, former Canada Research Chair in Developmental Genetics and Disease; and Rick Sawatsky, current Canada Research Chair in Person-Centred Outcomes. The Canada Research Chair program is a central part of the federal government’s national strategy to make Canada one of the world's top countries for research and development. "As an alum of TWU, past Canada Research Chair events and assistant positions were formative for my academic journey. Having the opportunity to now implement a new Chair research program and write the next chapter of Scrolls research at Trinity Western University attests to both the core commitment of our university to this field of study and the investment of the Canada Research Chairs program across generations of Canadian scholars," says Andrew Perrin. As home of the Dead Sea Scrolls Institute, the only centre in North America dedicated to manuscript discoveries in the Judaean Desert and material finds of the Qumran community, TWU is well positioned for Dr. Perrin to lead research on Ancient Judaism. The Region of Judaea, a bridge between the Mediterranean and Near East, experienced turbulent geopolitical shifts, cultural sea changes, and evolutions of religious expressions in the centuries before the Common Era. Yet the heritage of texts from this era is hardly represented in Jewish and Christian biblical canons. “Trinity Western University is already known as a centre of excellence in research on the Dead Sea Scrolls. Dr. Perrin's Canada Research Chair builds on this legacy, and will offer new insights into the formation of religious identities of that period. TWU students will also benefit through opportunities to engage directly in research through mentorship with Dr. Perrin, an emerging world leader in this field,” says Eve Stringham, Vice Provost, Research and Graduate Studies at TWU. The 2018 federal budget provided a significant increase to national research funding with a proposed investment of $925 million over a five-year period. That funding is to be divided between the Social Sciences and Humanities Research Council (SSHRC), the Natural Sciences and Engineering Research Council (NSERC), and Canadian Institutes of Health Research (CIHR) with $235 million per annum in years ongoing. Andrew Perrin, Ph.D. (2013, McMaster University), is Assistant Professor of Religious Studies and Director of the Dead Sea Scrolls Institute at Trinity Western University. His research uses the Dead Sea Scrolls as a lens for exploring the early formation and interpretation of the Hebrew Scriptures in ancient Judaism and Christianity. 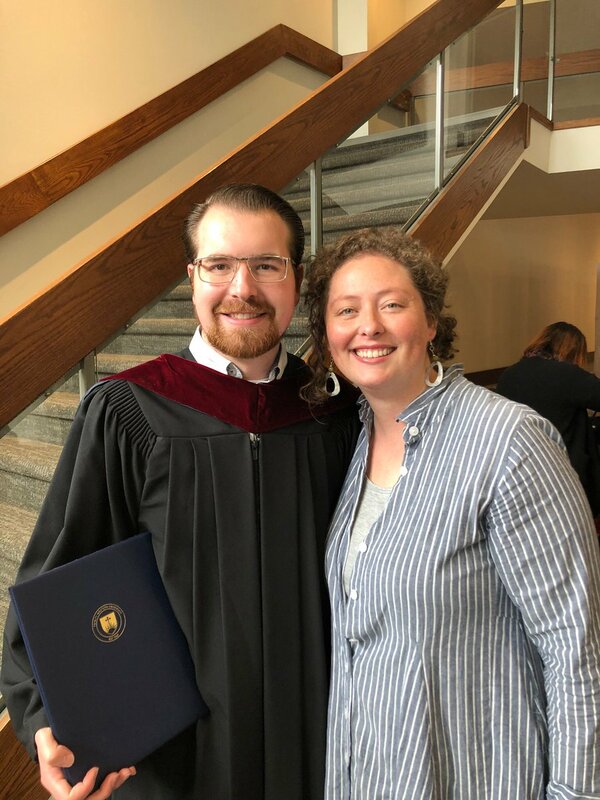 Following undergraduate studies in theology (Rocky Mountain College, 2006), Andrew developed an interest in biblical literature under the supervision of the late Peter Flint, Ph.D., while earning his M.A. Biblical Studies (2009) from Trinity Western University. Dr. Perrin’s research has included multiple graduate scholarships and grants from the SSHRC, the George A. Barton Fellowship at the Albright Institute of Archaeological Research in Jerusalem, and the Manfred Lautenschlaeger Award for Theological Promise from the University of Heidelberg for his monograph on dream revelation in the book of Daniel and beyond. Originally from Sarnia, Ontario, he now lives in Langley, BC, with his wife Tanya and their two children Emma and Jude. When not studying the scrolls, he enjoys exploring the beautiful backyard of British Columbia. A summary of the Canada Research Chair program and detailed information from the Government of Canada is available. For news, events, and research opportunities at the Trinity Western University Dead Sea Scrolls Institute follow the Institute on Twitter, Facebook and YouTube. THOUGHTS: Our friend N.T. Wright reflects on the meaning of Easter and explains what he thinks Christians are missing when it comes to recognizing and celebrating this Holy day. Happy Thursday! Welcome to our Langley campus from the air. On clear days, Golden Ears and Mount Crickmer never fail to show off their beauty! It has been another year of learning. For some it was your first year at this place, for most you have completed another year towards earning your respective degree. We pray that during this exam season, in the times of anxiety, stress and fear of the unknown, you find your joy, strength and rest in Him. Dr. Kelsey Haskett, Professor of French; Chair, Department of World Languages and Cultures; Coordinator of European Studies at TWU was one of the eyewitnesses to the Notre Dame Cathedral fire. For seven years in a row, Trinity Western University has received an A-plus ranking for quality of teaching and learning.